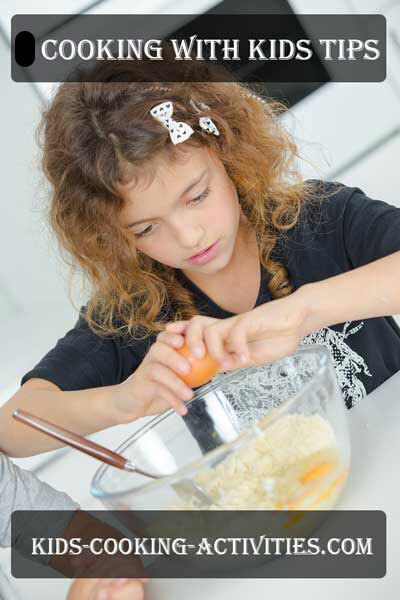 Here are 5 kids cooking tips and ideas on getting kids interested in working in the kitchen. Kids usually have a genuine interest in baking and creating in the kitchen. It is an activity that sparks their creativity and a desire to want to learn more. If you can nurture their interest it will grow and kids will learn not only an important life skill but how to eat healthy. Give kids room to experiment and try new recipes. Don't confuse this with a lack of supervision, however. As a mom and a teacher I've had to fight the urge to say, "Here let me crack that egg for you" or for older children, letting them cut vegetables themselves. Parents and teachers are more apt to step in and help. We need to be nearby to help, however we also need to give them room and not take over the work. Often we tend to take over because it will be faster but resist the urge to take control. Children learn by doing hands on experiences even if it involves spills and messes. Let children pick recipes they'd like to try. Usually kids favorites are dessert recipes but also include lunches, breakfast, snacks and dinner in their learning to cook adventures. If they aren't interested at first, involve them in appropriate tasks. Soon they may be ready to try and cook more. Gather cook books, browse kids-cooking-activities and let them pick out a few recipes they'd like to try. Being able to take credit for dinner, really is a big boost for a child. Even if it is simply saying, "I picked this." Put children in charge of dinner once a month or once a week, whatever works at your house. 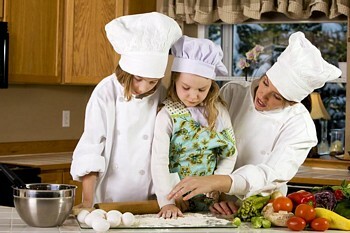 Let them find and plan the menu with your help and prepare the meal (with your supervision) for the family. Make sure there are healthy choices in your menu plan such as vegetables included with the meal. This will help kids learn about good nutrition. Help children learn more about food in general. How do vegetables and fruits grow? How do you make cheese? Learning facts about the food we eat makes creating something together for lunch or snacktime more real. 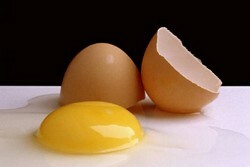 Check out the food facts section for help. Getting kids interested in working in the kitchen sometimes requires making food fun. How about a theme dinner? Or center dinner around a theme they choose. Dress up, make a menu and cook the particular meal together. Making meal time and cooking can and should be a fun activity. As we get older it can become a chore but if kids get involved when they are younger, as they grow older it becomes part of a healthy life. Whether your children are young or old there are many ways to draw them into the kitchen and teach them basic cooking skills and good nutrition. Do you have kids cooking tips you'd like to share? Back to how to teach children to cook from 5 kids cooking tips.